SAVR is launching a service, with a mission to help young people setting up their first savings account. In order to start delivering on this mission, the company has raised 2.5MSEK from investors including Krister Sundling, ex-Morgan Stanley and ex-Goldmann Sachs and RECAPEX. Co-founder and CEO Daniel Aarenstrup says: "Our idea is not very creative. We are not introducing a new way of saving. However, we are focussing on the finer details and communicating with our young target group in a way and with a language that they understand. We focus on appealing to customers, that in previous generations used to start their savings account via a meeting with the local bank manager. However, todays youth do not recognise this as the most effective way. We believe there is a gap in the market where the existing high street banks are not effectively serving this group of potential customers." SAVR will invest their customers money in existing funds, and not run their own funds. They are currently in the process of selecting which funds to choose. 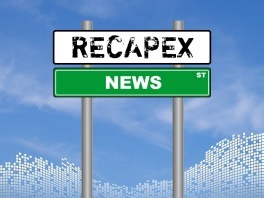 As part of the transaction, Johan Siwers, General Partner at RECAPEX will join the SAVR Board of Directors.